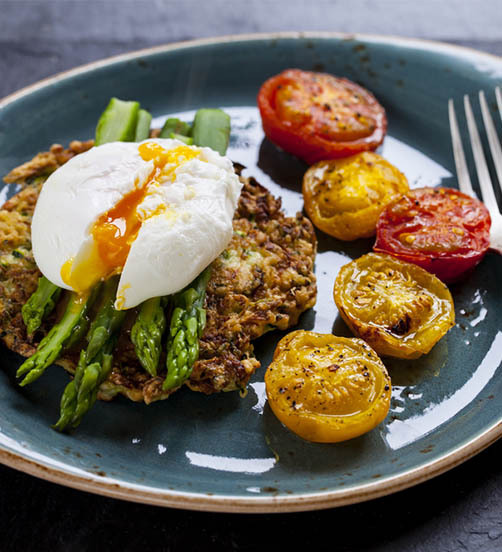 Brunch, you say? 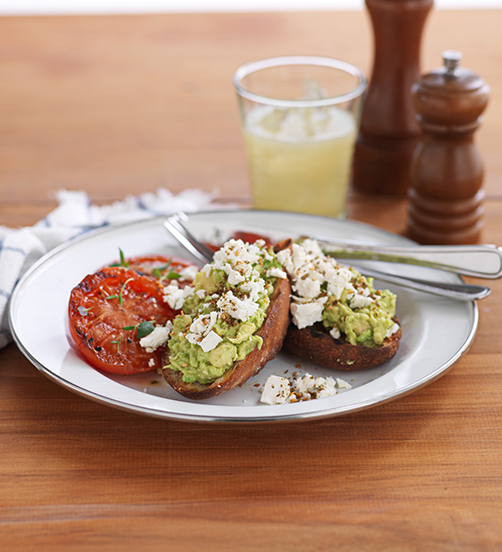 Bring the café to your kitchen by adding some of our creamy Mainland feta and dukkha to fresh avo on sourdough toast. 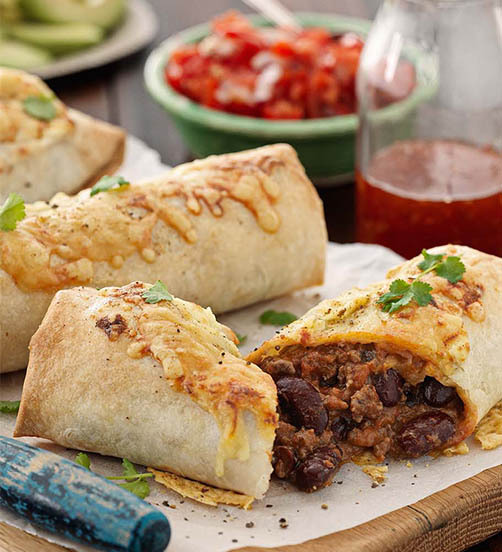 A quick and easy to prepare tasty Mexican favourite for the whole family to share. 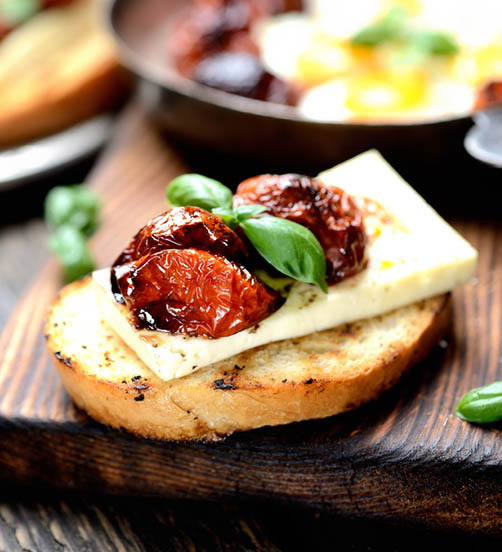 An easy to make, indulgent starter that will surely impress! 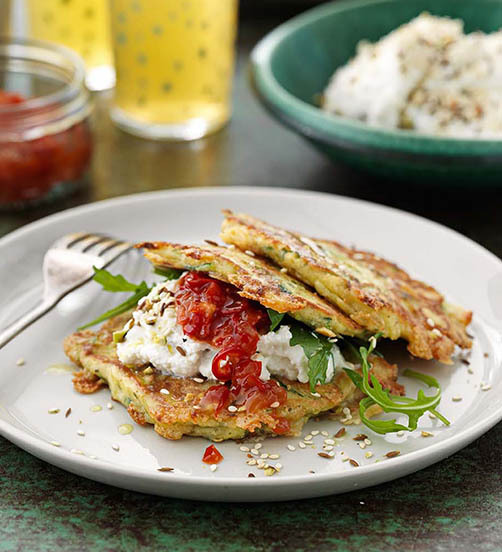 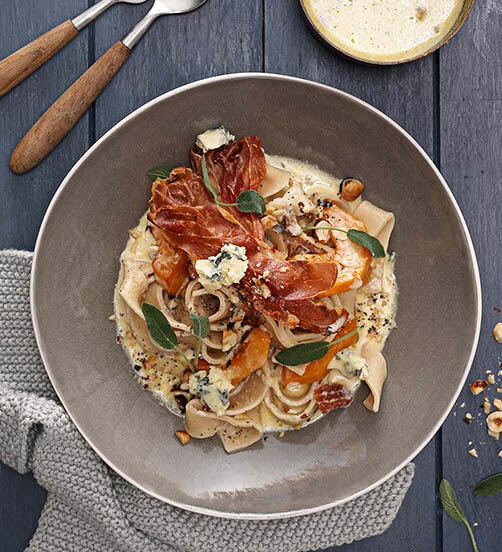 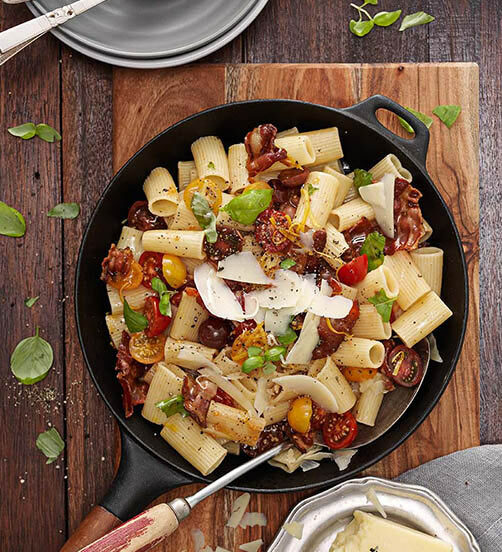 A wholesome take on a classic family favourite featuring Mainland's delicious grated Mozzarella. 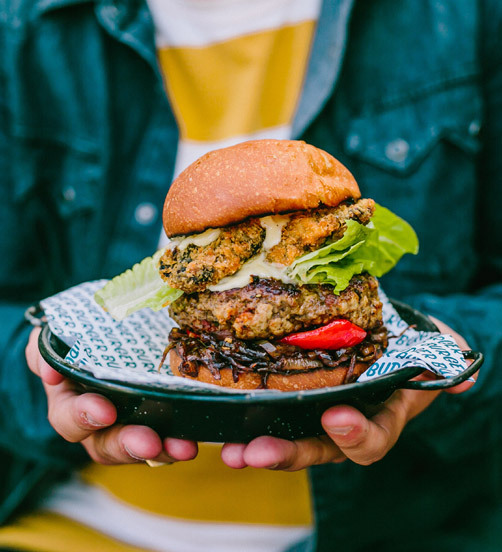 A delectable burger combination of venison and pork patties layered with caramelised onions topped off with Mainland Creamy Blue Cheese. 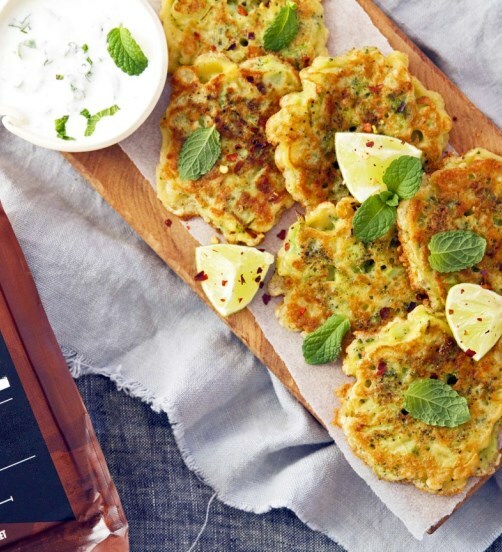 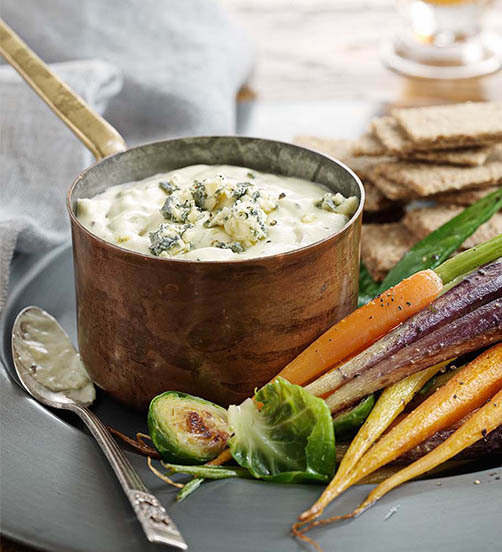 An tangy dip that uses our strongly-flavoured Blue Vein Cheese. 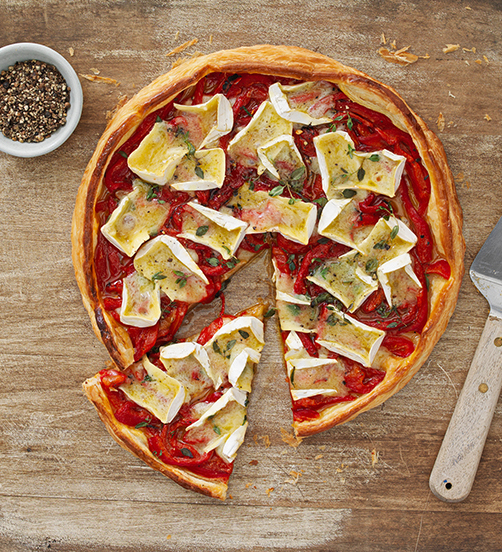 This simple but super tasty tart makes a quick, but impressive lunch. 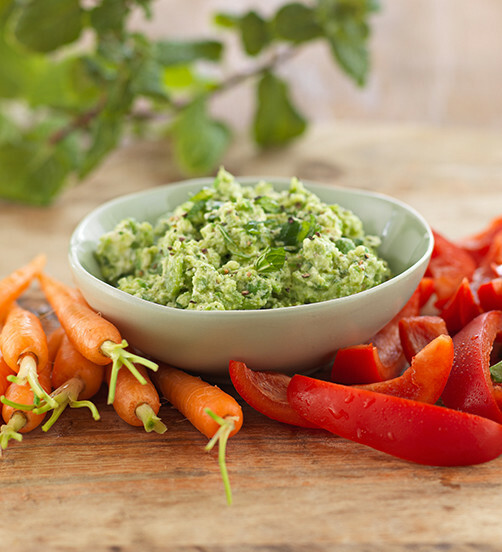 High protein broadbeans mixed with Mainland Creamy Feta and mint leaves – in a guilt free dip! 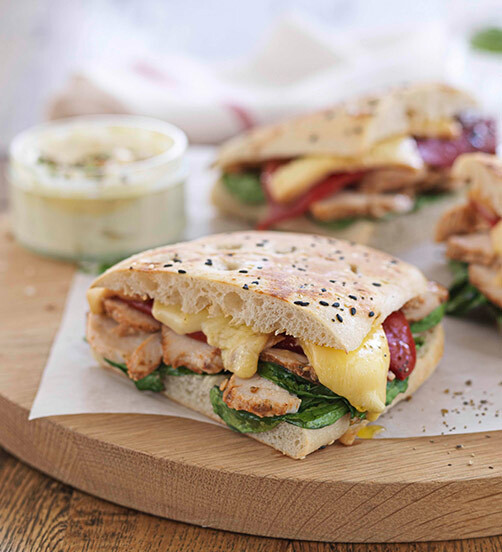 Wonderful for a light lunch or as a lunchbox filler. 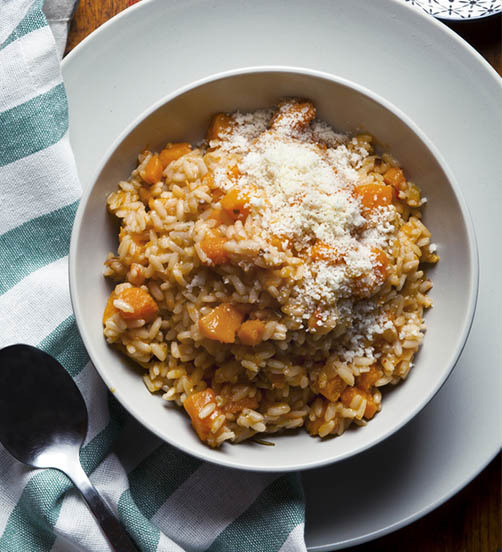 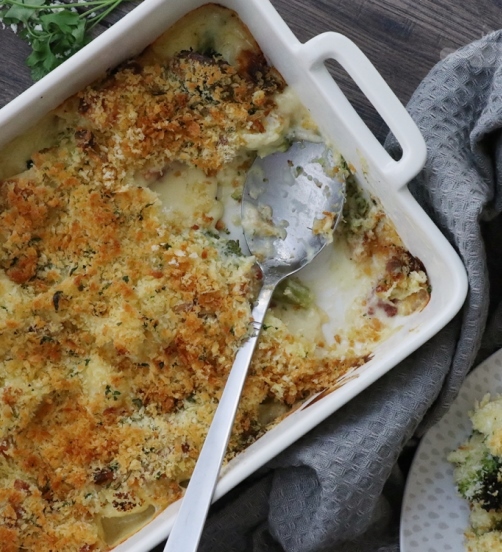 An incredibly versatile accompaniment dish to be served along-side your autumn meal. 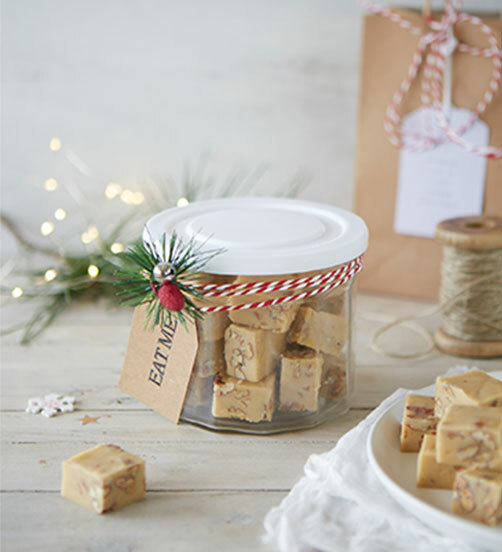 A scrumptious seasonal treat that’s perfect for gifting. 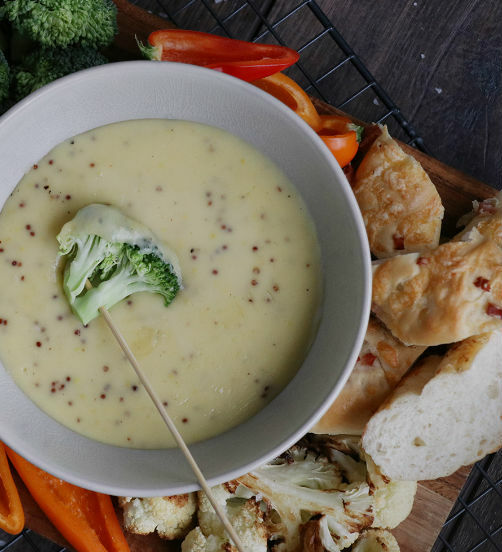 A hearty, full flavoured soup that will warm you up from the inside out. 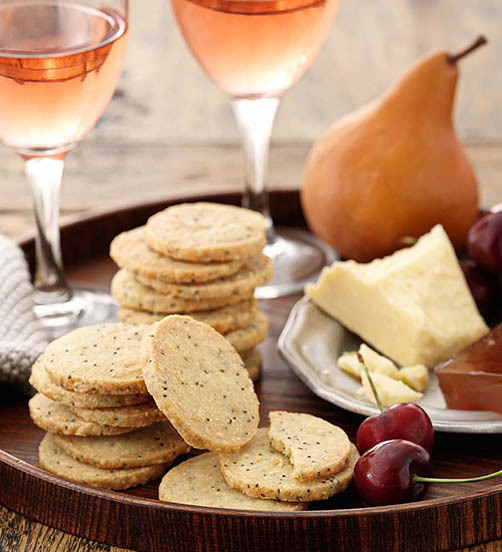 These appetisers are perfect for when there are guests to impress. 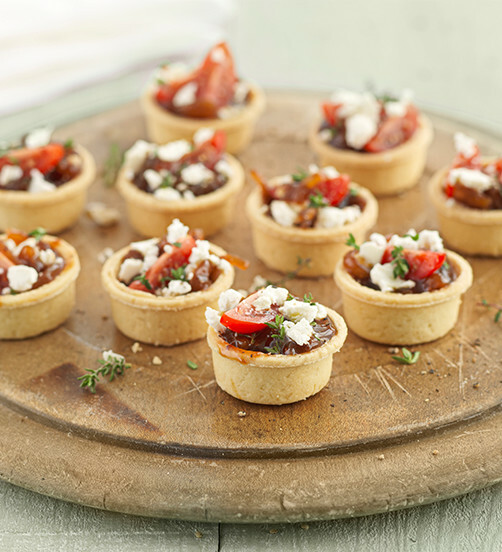 These cute little tarts may be small but they're definitely big on taste. 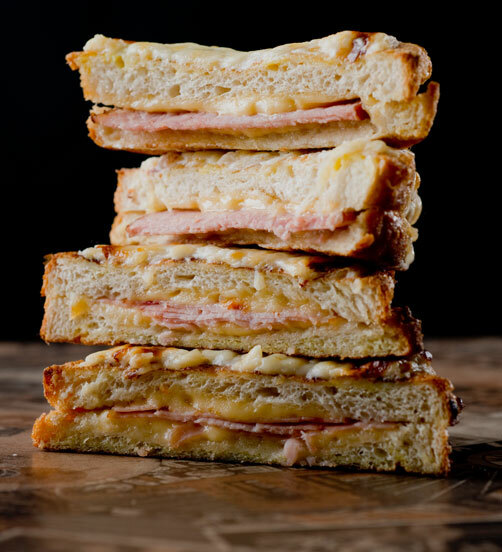 Enjoy the taste of a classic croque monsieur with less of the hassle. 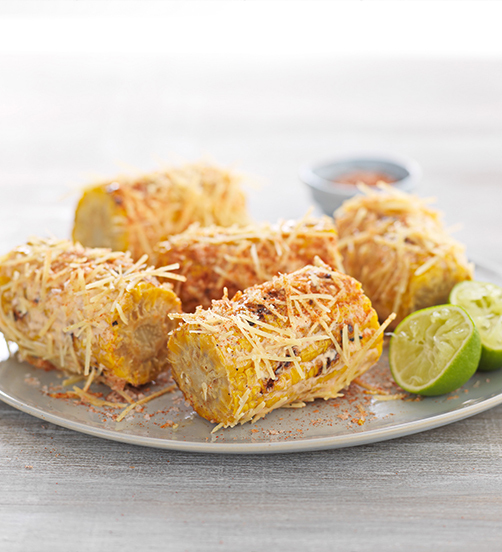 Based on a Mexican favourite, the smoky flavours of barbecue come to life with a bit of spice and lots of Mainland Parmesan Cheese. 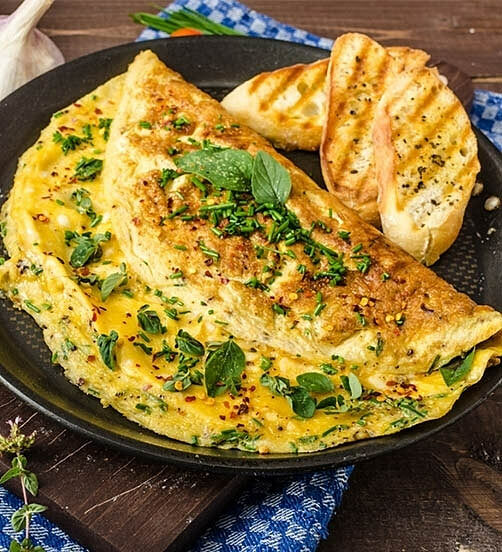 Made with our Edam Cheese, this fluffy omelette is perfect for a weekend brunch. 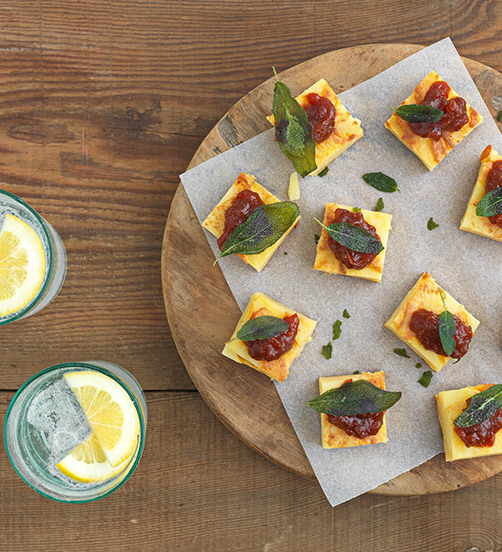 These cheesy mini loaves are full of flavoursome ingredients. 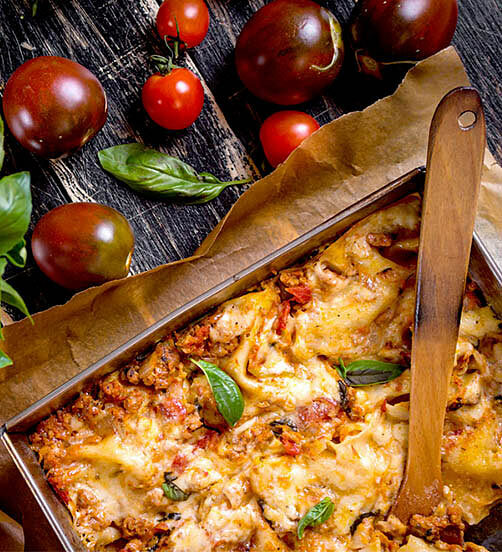 A delicious, easy, and full of flavour dinner recipe. 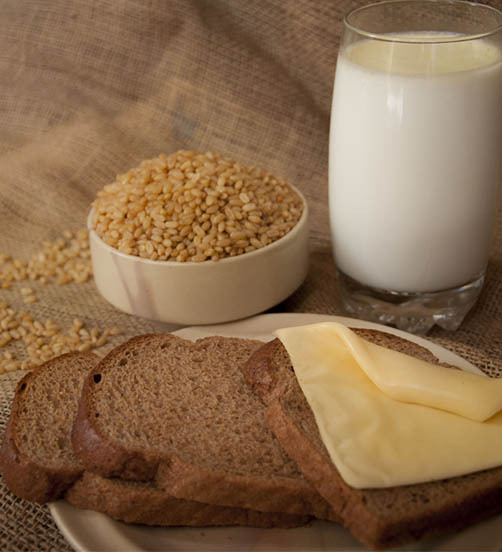 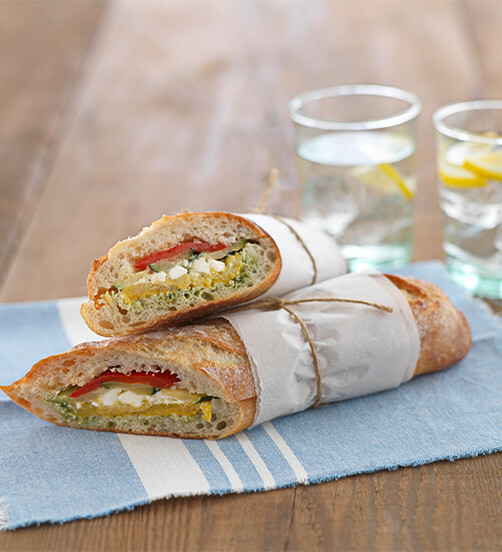 A simple and tasty combination for a quick lunch or dinner. 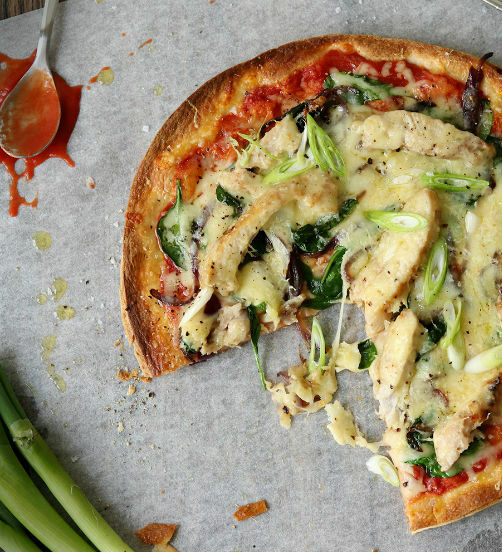 Curb those junk food cravings with this healthy pizza recipe using light tortillas as the pizza base. 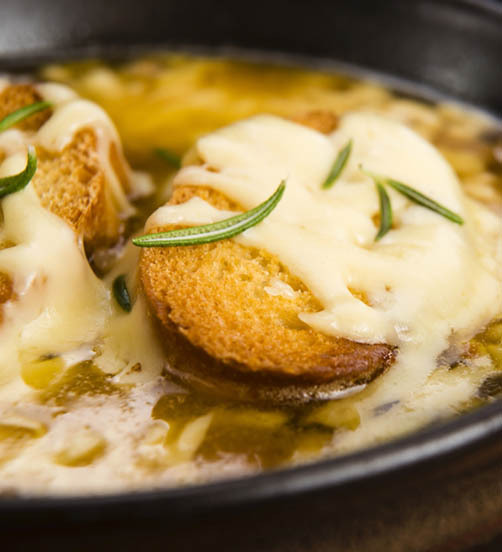 This chilled soup mixed with crunchy crostini and smooth Mainland camembert is a harmony of taste. 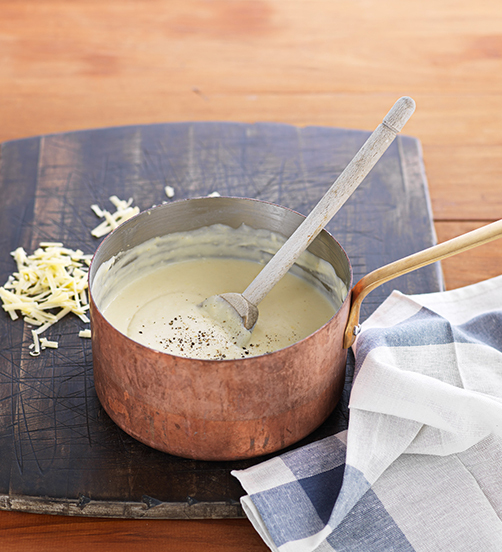 Cheese sauce provides a delicious base to a range of great meals. 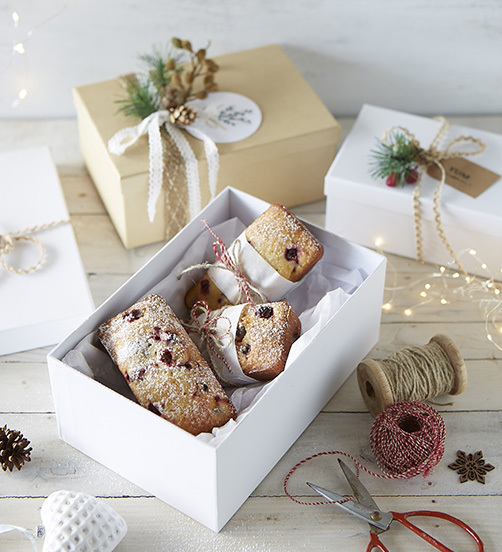 These citrusy Cranberry and Orange Mini Loaves are delicious and a great gift idea. 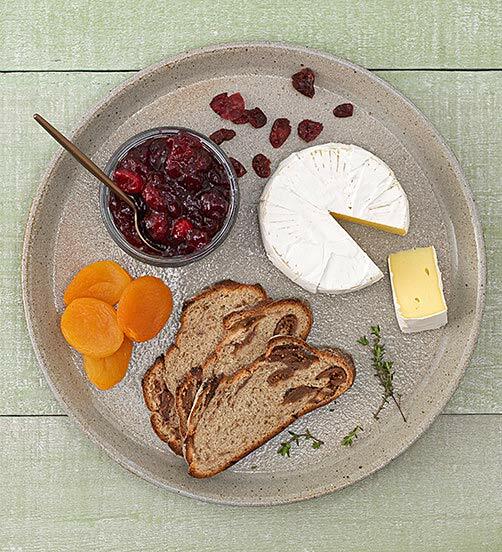 The sweet fruity tartiness of this cranberry and apple chutney on your cheeseboard will never go amiss. 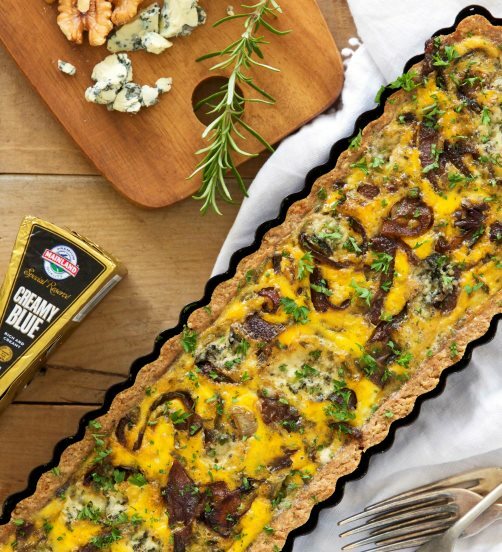 Our Mainland Creamy Blue matched with the sweet caramelised onions and nutty walnuts in the pastry of this flavoursome tart is a crowd pleaser. 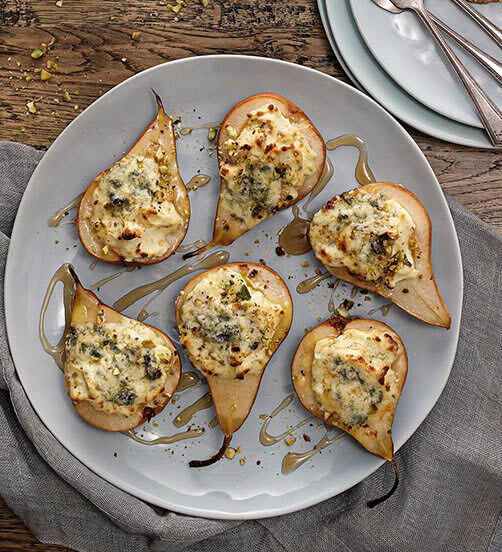 An impressive dessert that combines the classic pairing of Blue Cheese and pears. 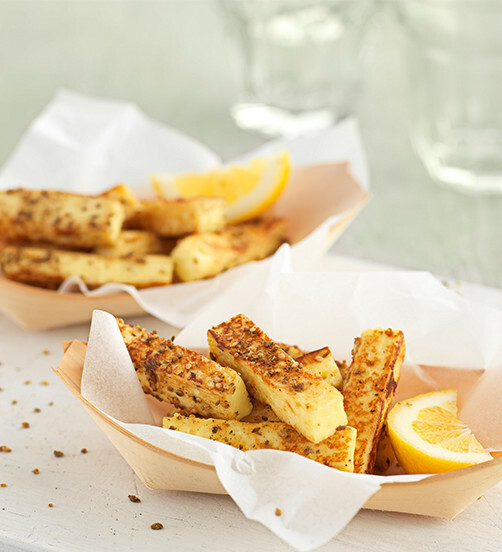 Add more flavour and crunch to your kumara chips with a good sprinkling of grated Tasty cheese. 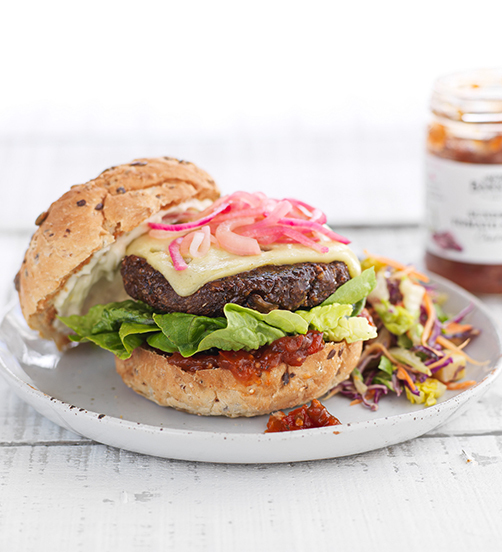 This stunningly tasty burger fuses Mexican spices with coconut prawns and smooth creamy Mainland Havarti. 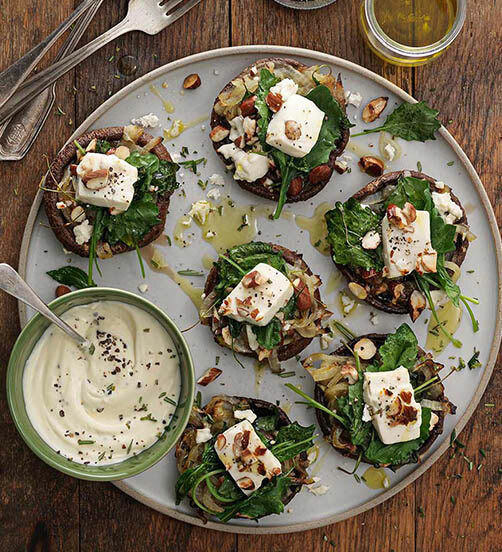 Savoury portobello mushrooms get dressed up with kale and Feta. 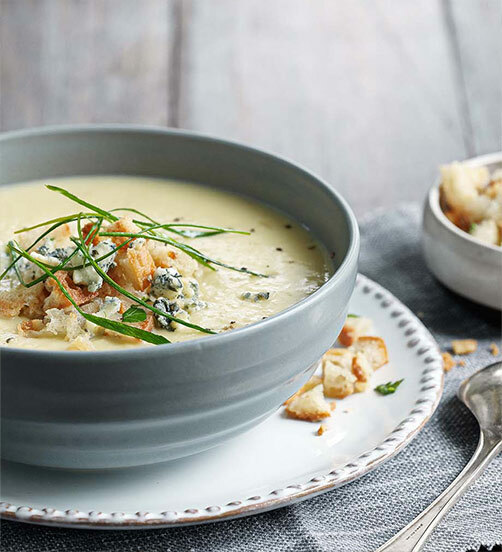 The classic soup gets added oomph with Mainland Colby Grated Cheese. 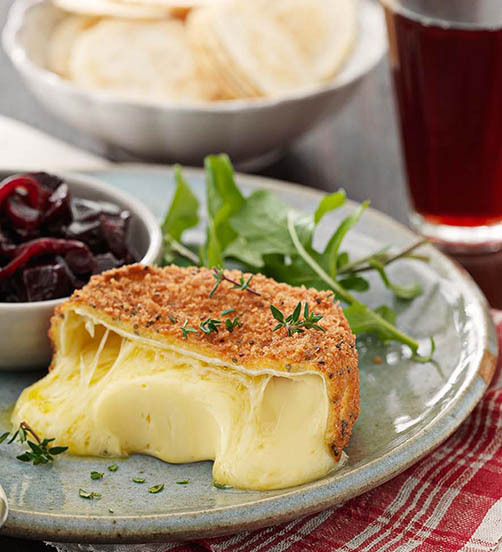 Take your next dinner party or family night to new levels with this easy Fried Camembert recipe. 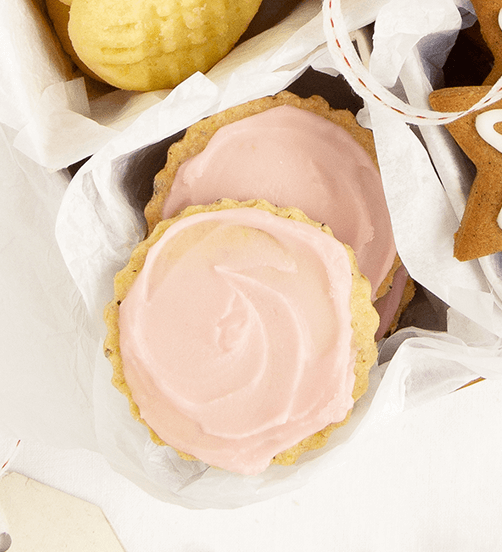 These delicious Gingerbread Cookies will make the perfect gift. 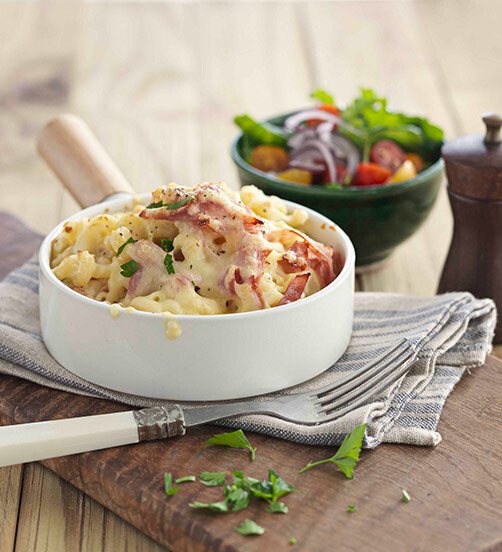 Making the most of new flavours, this mouth-watering fondue uses a garlic base, white wine and mustard. 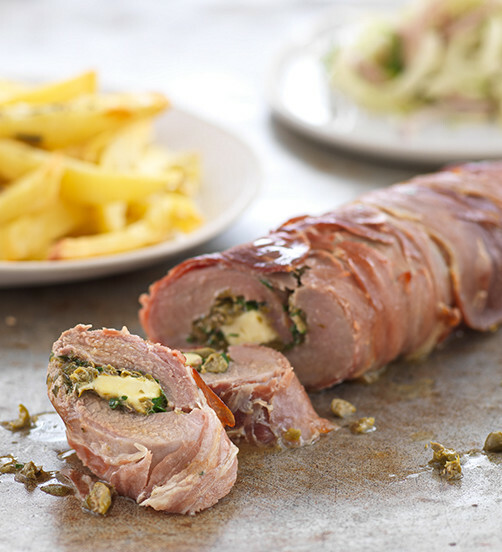 A juicy pork tenderloin enhanced with the strong flavour of capers and the soft creaminess of Mainland Haloumi. 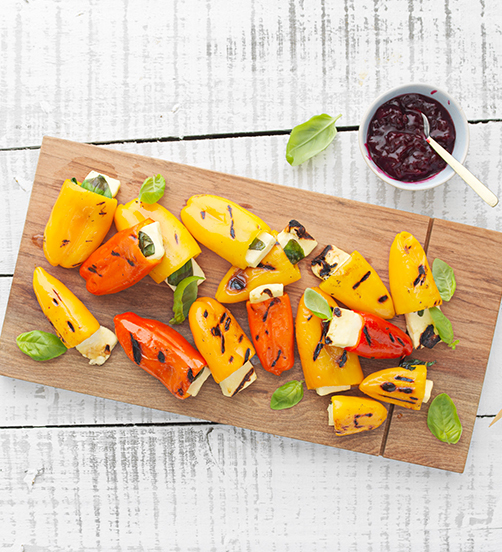 Mini capsicums or peppers make great vessels for holding fillings to grill on the barbecue, and haloumi is a firm favourite. 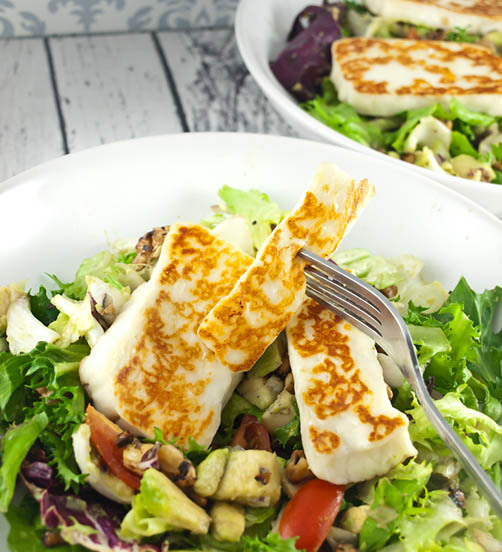 This Haloumi cheese snack is served chip-cut so it’s extra appealing to the eye and the taste-buds. 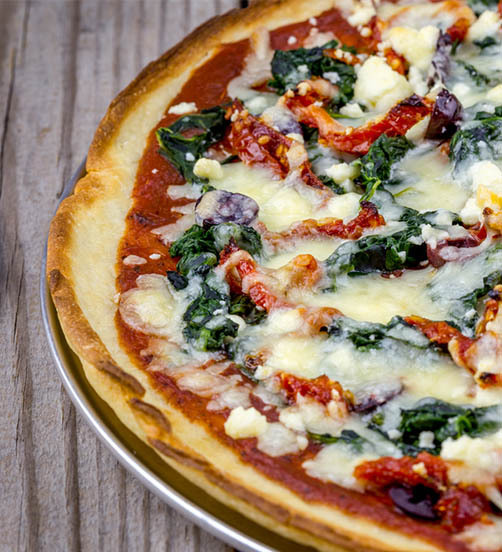 This homemade pizza delivers amazing results for very little effort. 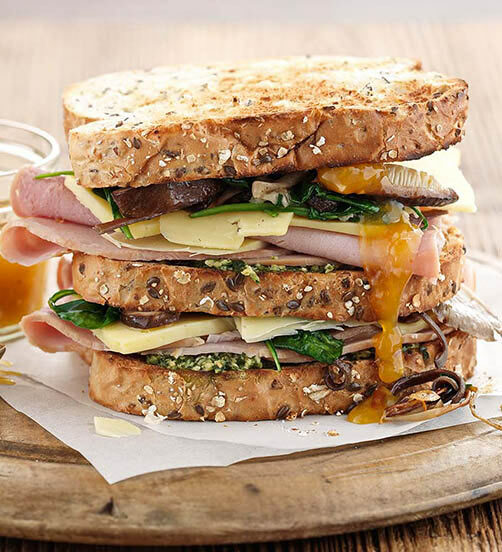 A toastie with a twist, full of flavoursome ingredients. 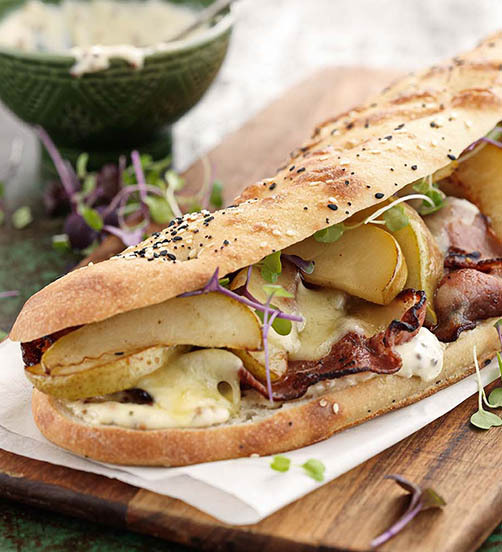 Havarti, bacon and pear makes for a perfect sandwich. 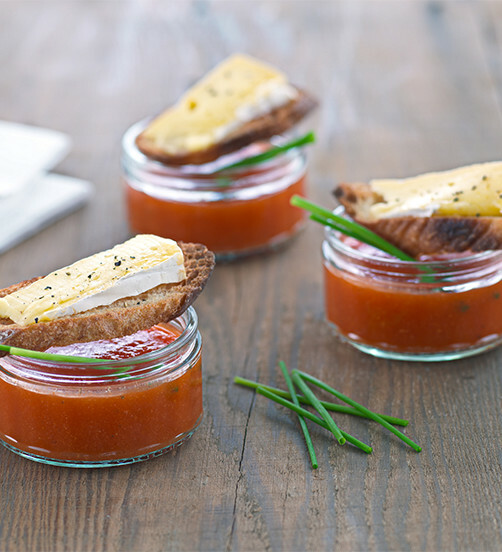 A simple and tasty appetiser option for entertaining guests. 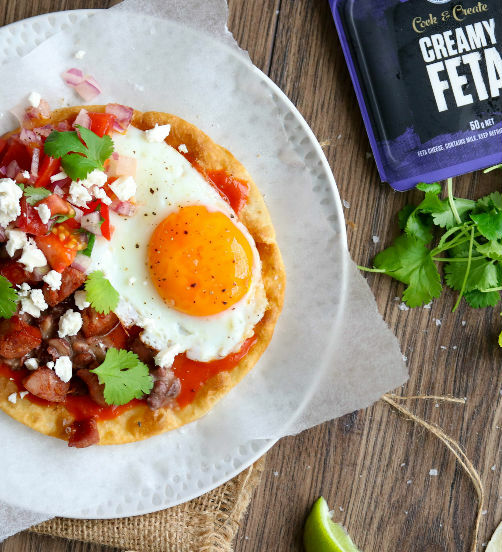 A simple twist on a traditional Mexican favourite is an easy-to-prepare family brunch recipe. 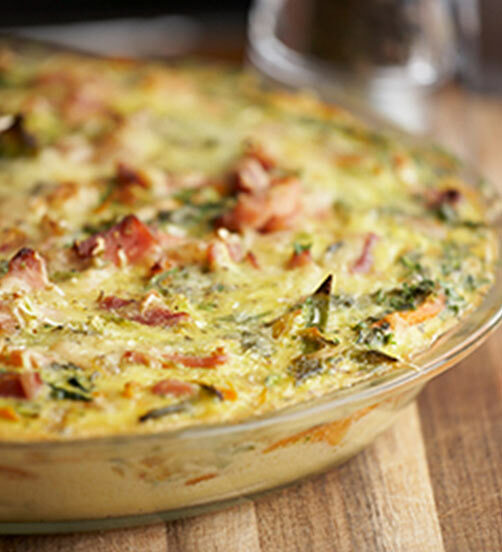 This simple quiche recipe is perfect for using up leftovers. 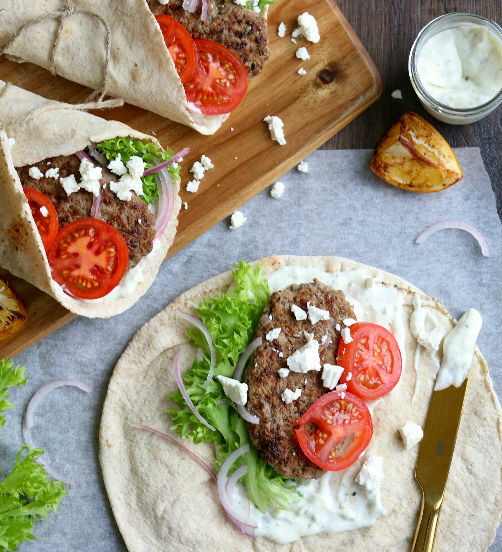 A full of flavour gyros recipe with lamb mince and feta. 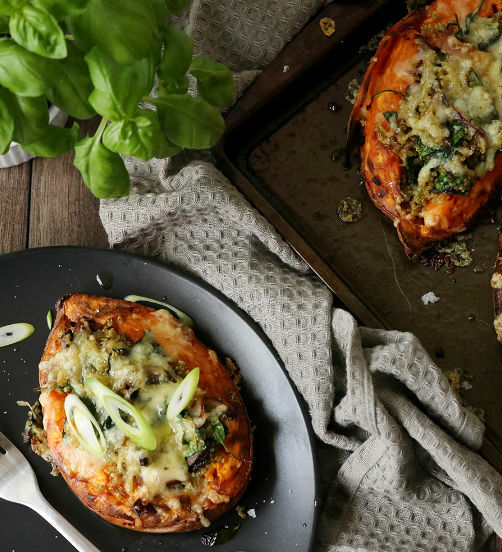 Packed full of flavour and stacked with nutritious fillings, this loaded sweet potato recipe by Rhiannon Baldock is always a crowd pleaser. 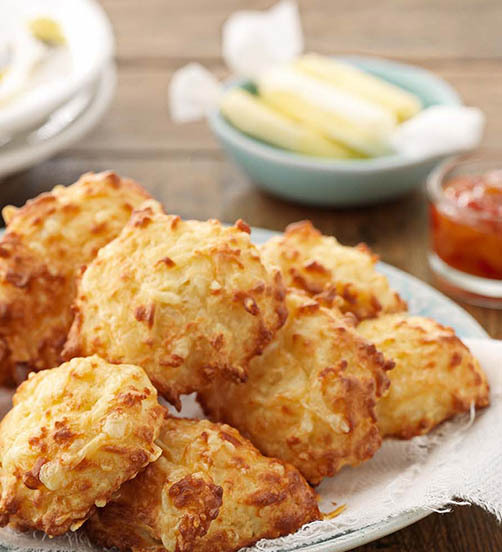 Perfect as a Sunday snack, serve these cheese puffs hot with a dollop of butter and your favourite tea. 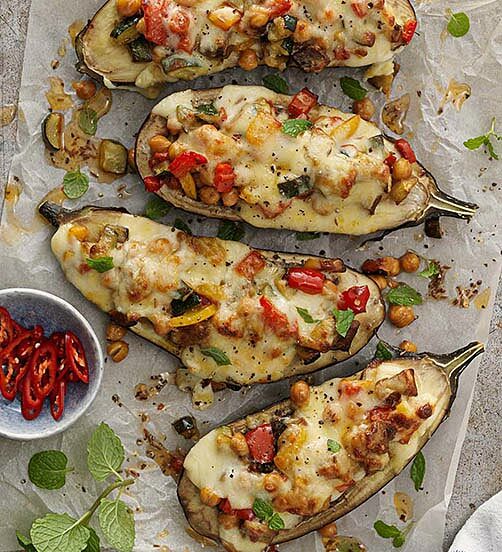 Full of flavour and delicious. 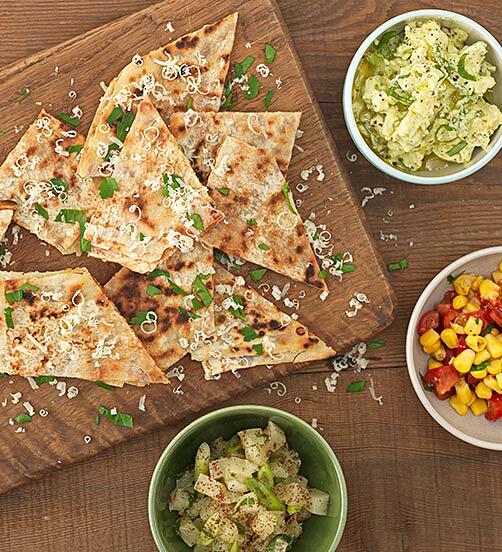 An easy Mexican-inspired dinner. 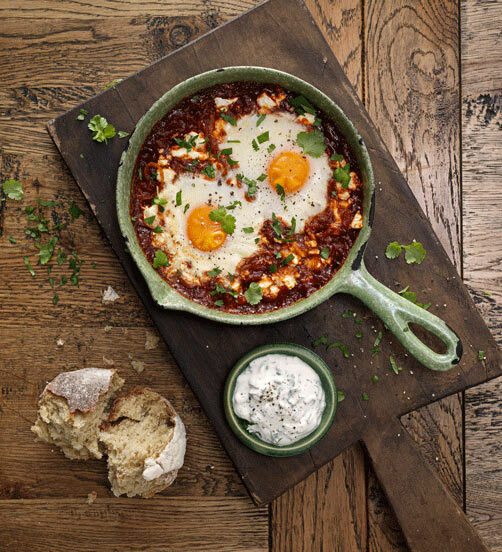 Eggs for breakfast need not be boring with this tasty baked version. 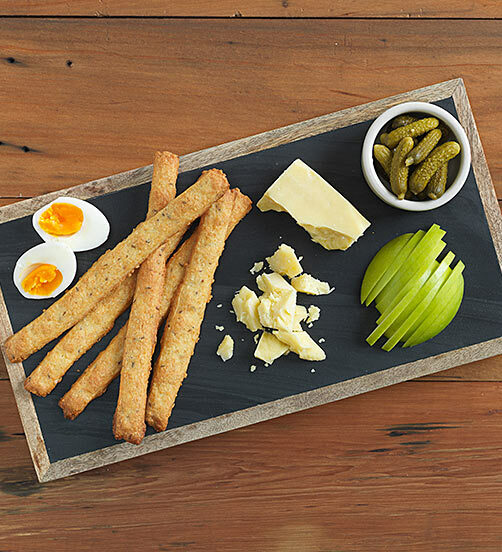 Take the classic Ploughman's platter to another level with this tasty cheesy twist. 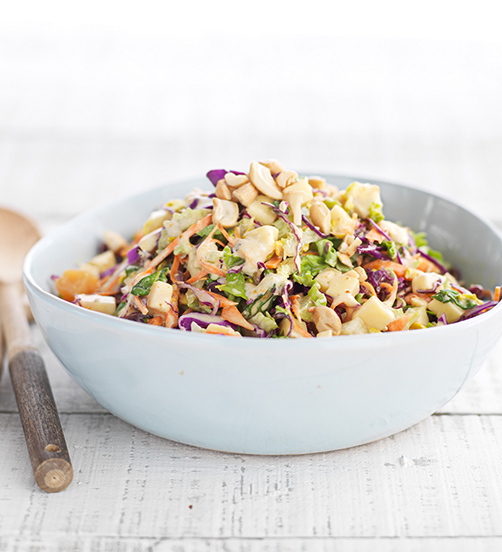 Crunchy vegetables and tangy Noble cheese are a perfect complement to a sweet and spicy dressing. 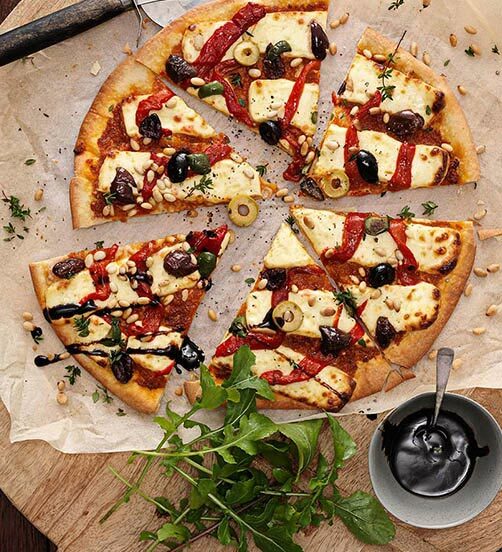 A classic favourite. 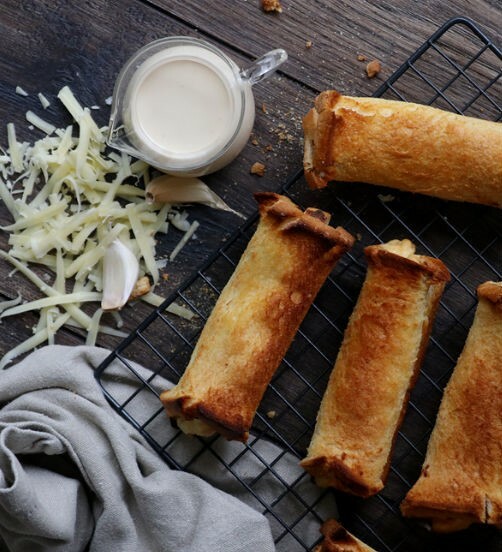 Be sure to bake until bubbly and golden. 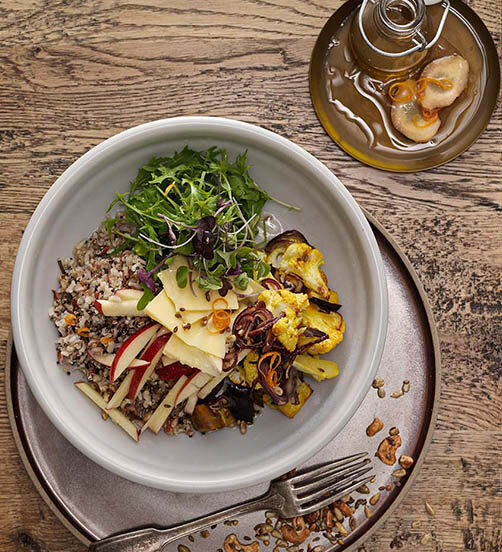 A filling, warming bowl full of good things. 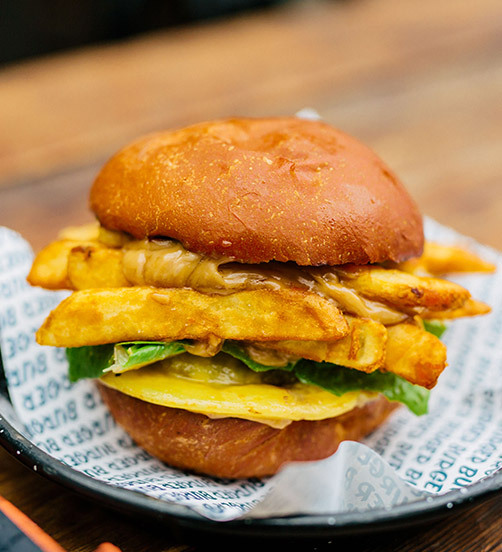 A drool-worthy fried chicken and bacon burger. 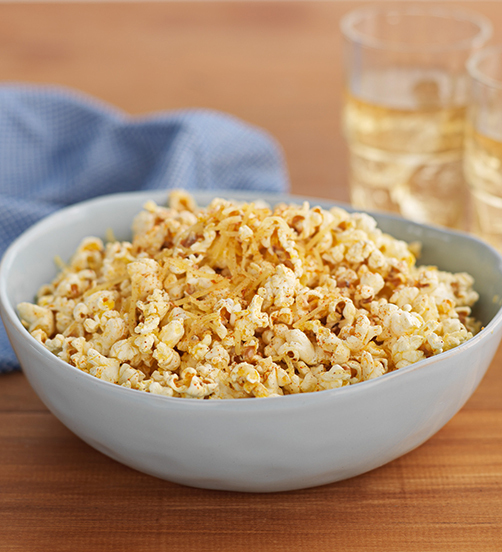 This is moreish, great for parties, movies or watching a sports game. 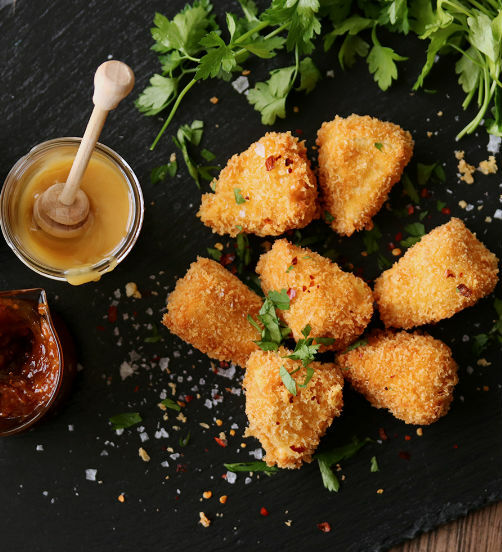 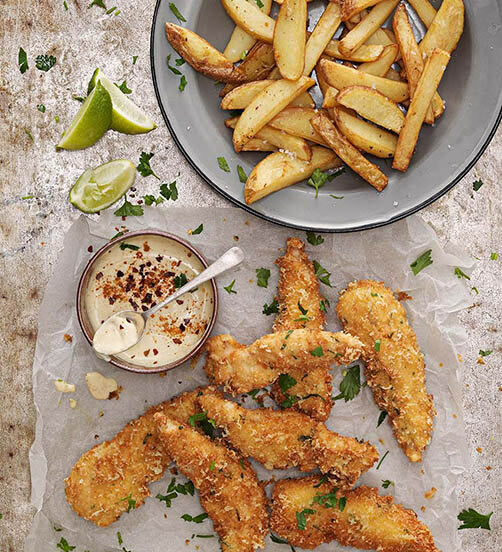 Tender chicken is crumbed with a delicious panko and Parmesan mixture. 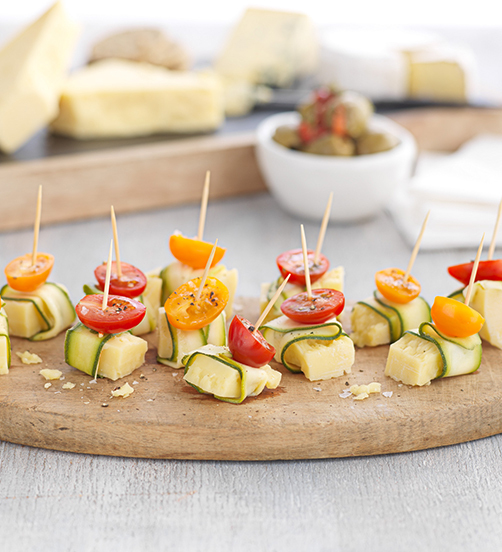 Simple and tasty, these make perfect nibbles. 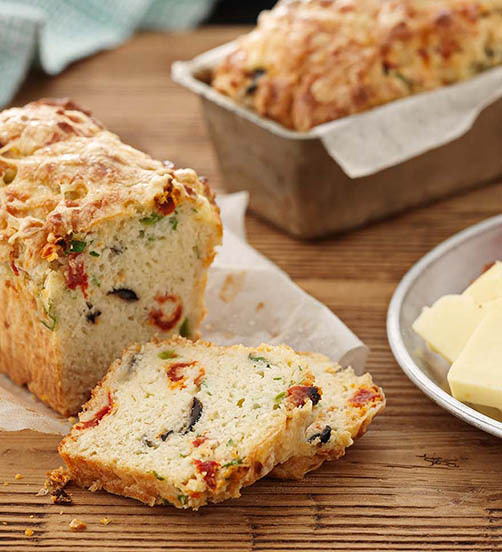 A hearty bread that pairs handsomely with slices of Mainland Epicure Cheese. 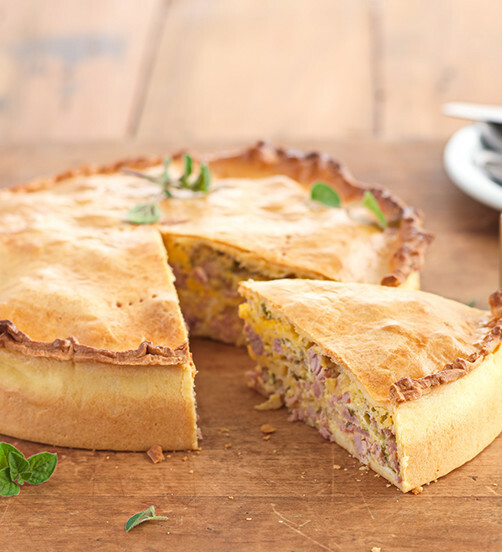 A twist on the traditional pork pie with strong flavour hints of Epicure cheese and fennel. 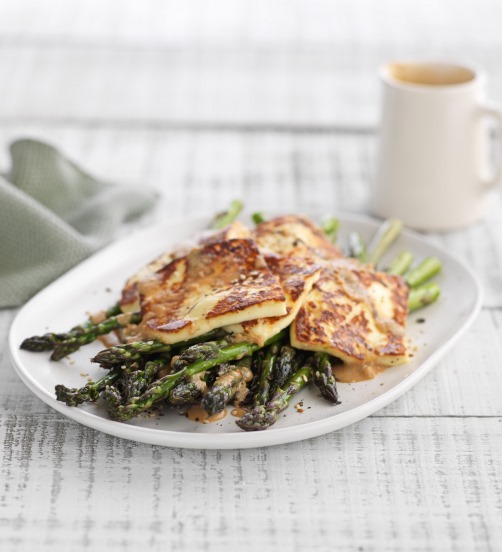 A potato rosti stack for when a more substantial breakfast or lunch is needed. 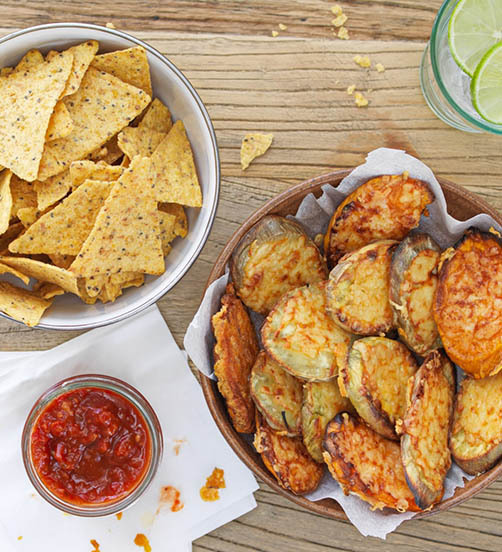 A tasty mouthful of crunchy potato goodness, bursting with spicy flavours. 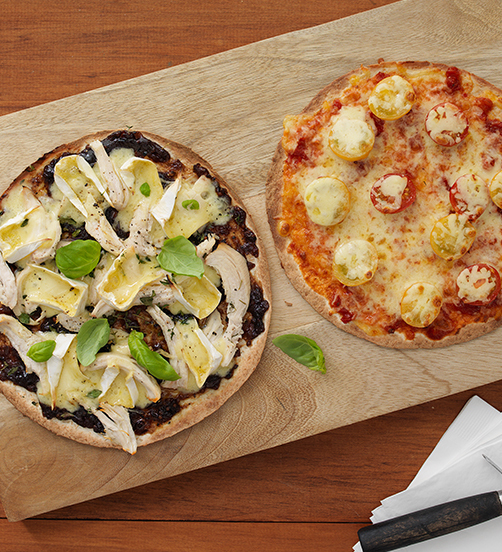 ATortillas or wraps make great crispy pizza bases for a super easy family meal, snack or even a quick entertaining idea. 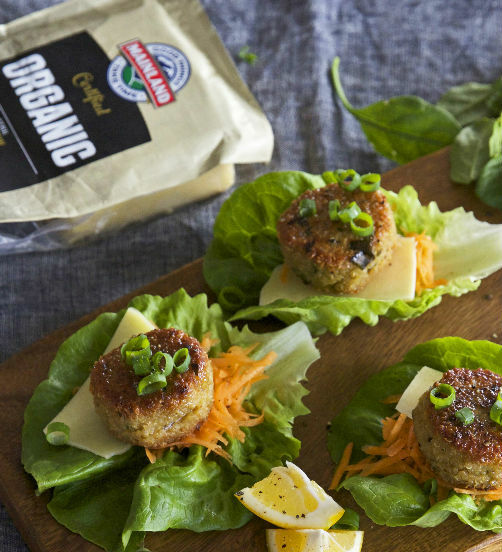 Tasty patties that work wonderfully as a burger alternative, wrapped in crisp lettuce. 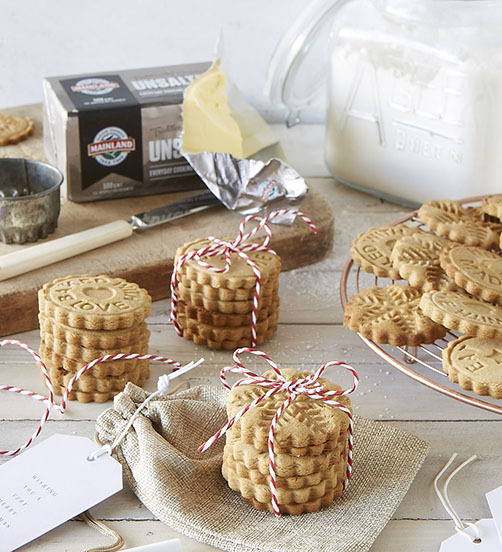 These soft chewy cookies come to life with crunchy hazelnuts and raspberry icing. 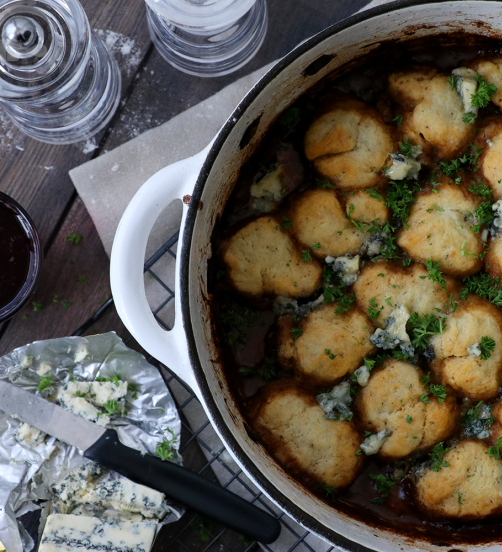 Our Mainland Creamy Blue in these buttery dumplings takes this simple hearty beef stew to a whole new level. 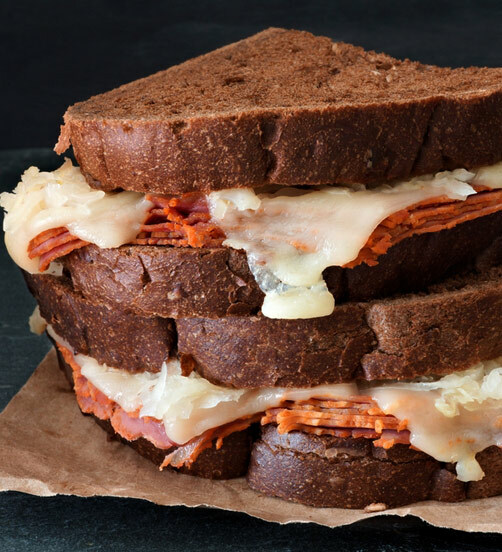 An easy and delicious doorstop of a sandwich. 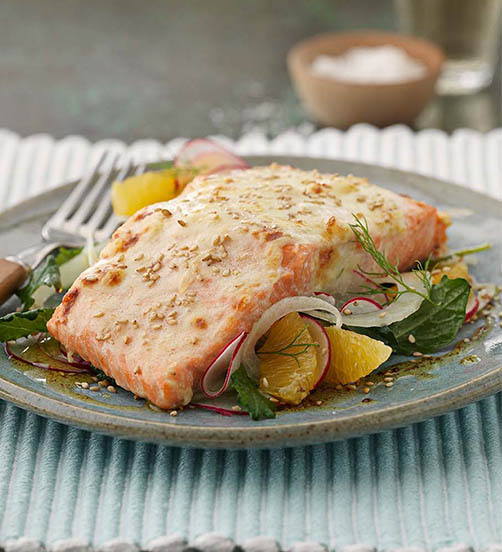 A richly flavoured, elegant dinner recipe. 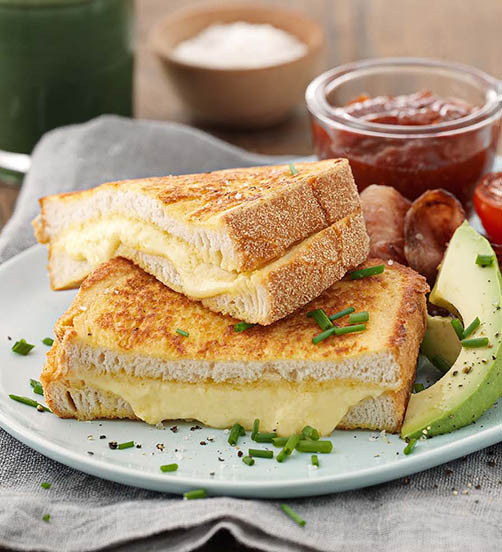 A deliciously cheesy toasted sandwich. 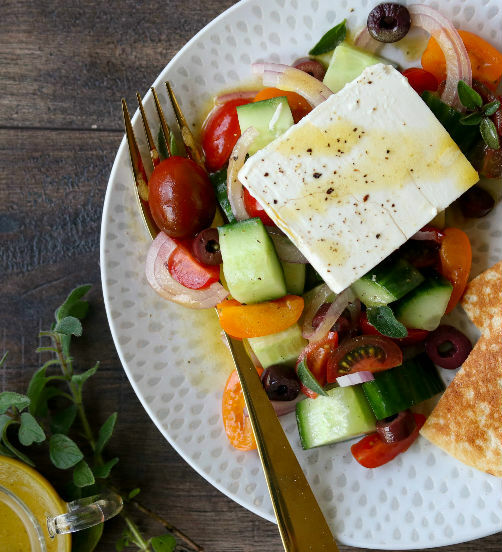 A tasty and light greek salad that's ready in 15 minutes. 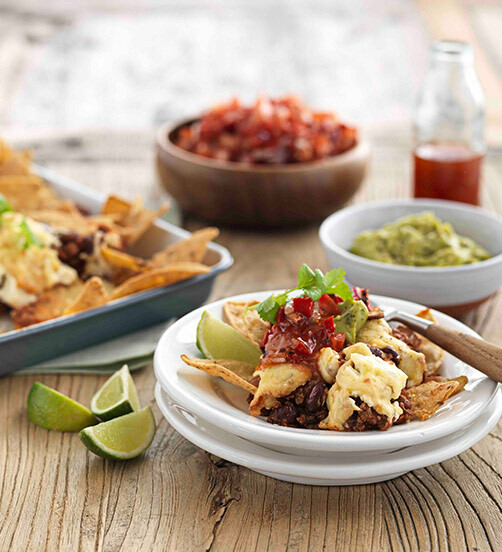 Nachos, a classic favourite, gets a wood­smoked flavour hit. 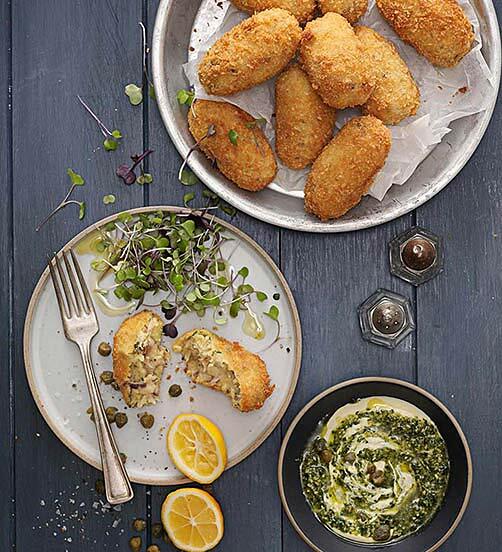 Smoky flavoured rice balls that aren’t shy on flavour and pack a moreish crunch. 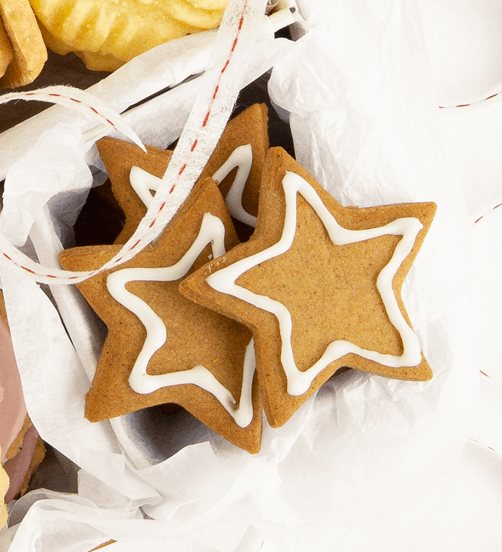 Spicy and soft but firm enough for mailing, these Gingerbread Stars are a great gift idea. 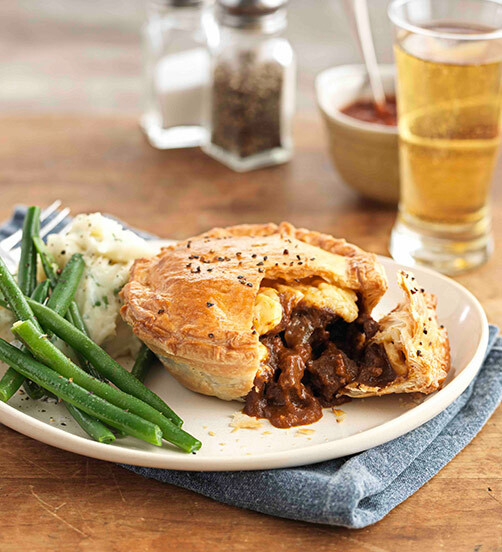 The quintessential Kiwi steak and cheese pie gets a smoky twist. 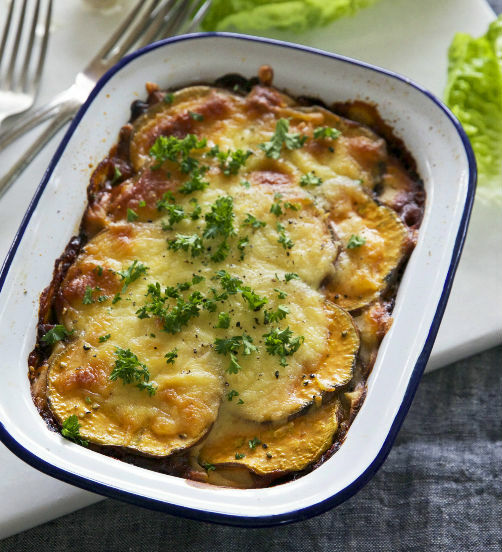 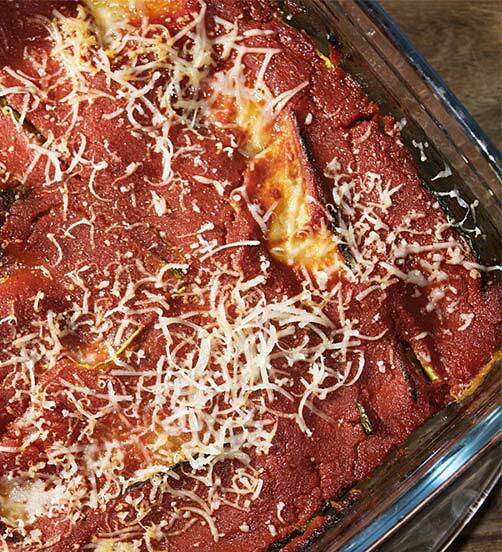 This interesting treatment of eggplants will become a family favourite. 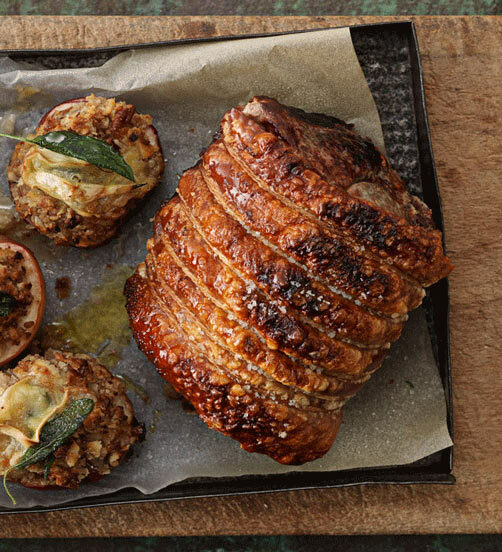 Succulent pork roast that is served with baked Brie and apples. 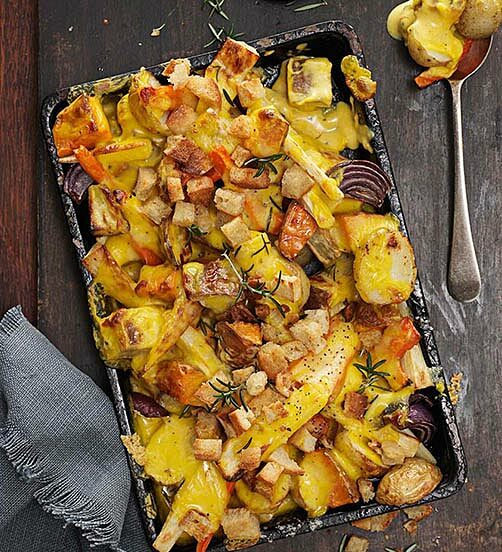 Our twist on a classic roast. 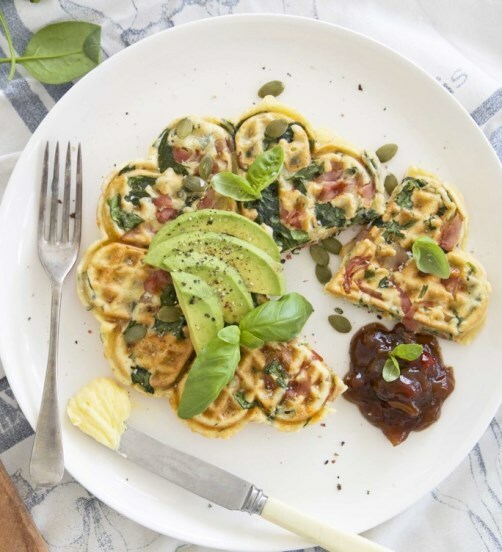 These big-on-flavour savoury waffles are a glorious way to start the day. 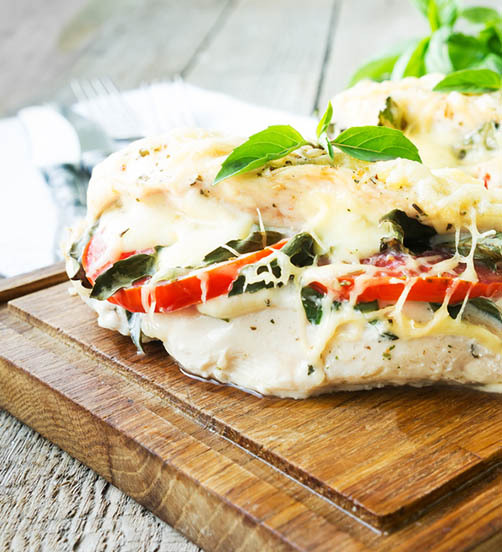 A simple and delicious twist on your next chicken dinner. 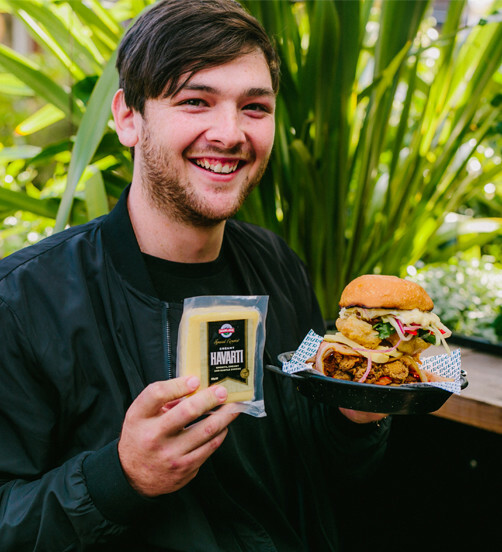 Aptly called The Grunt, it’s the sound of enjoyment you’ll make as you chomp your way through this tantalising, behemoth of a burger. 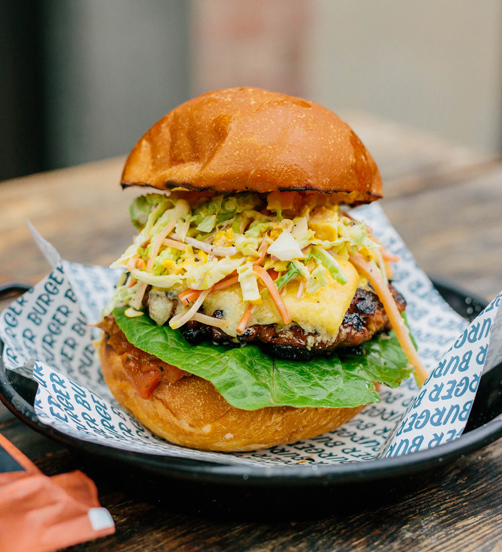 The trusty old pick-me-up the next day burger treat. 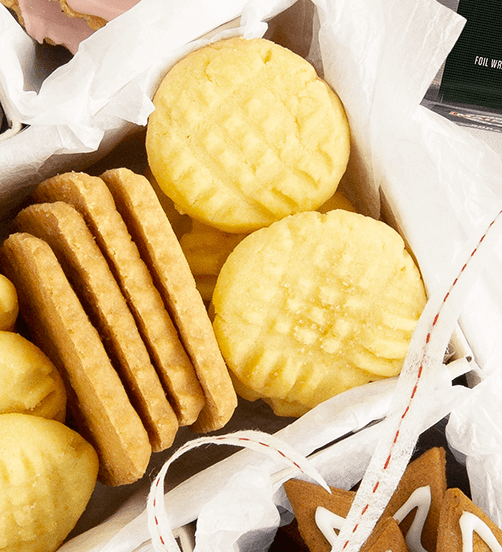 Full of the good stuff to satisfy those cravings. 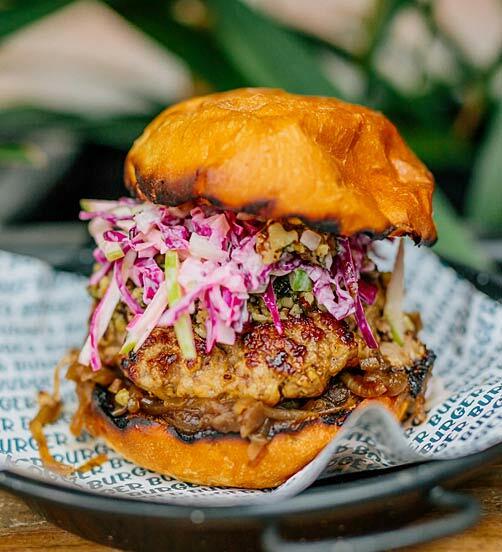 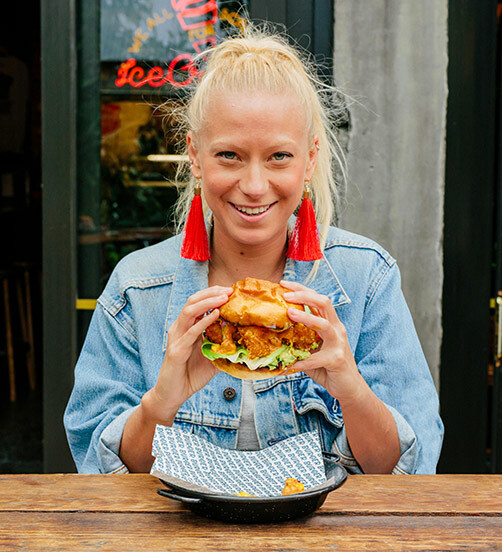 The Summer BBQ-URGER is the taste of hot sunny days that’s literally bursting with Summer flavours. 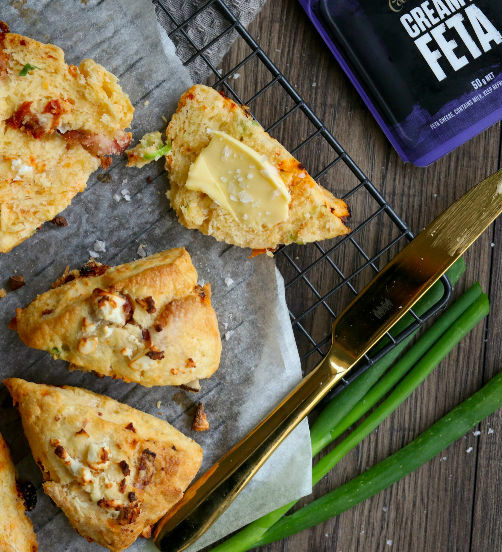 Deliciously creamy and buttery, packed with little bits of crunchy toasted pecans. 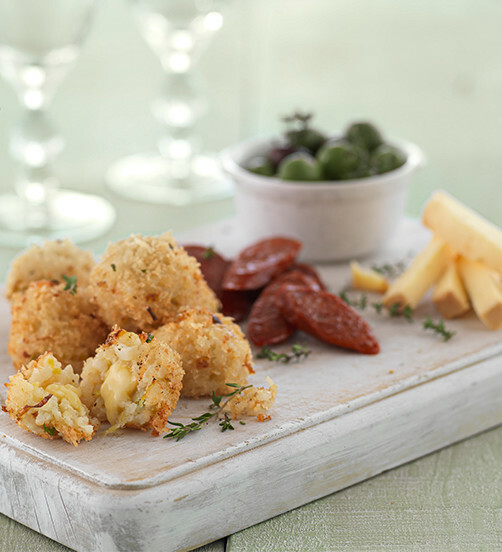 Moreish little cheese biscuits, perfect with drinks for entertaining. 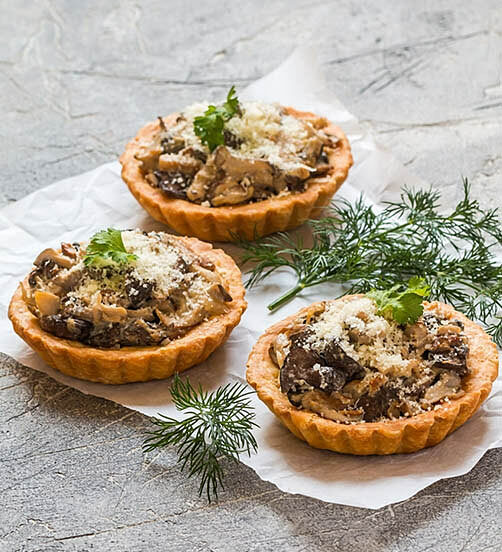 The combination of mushrooms and walnuts makes for a hearty meat free burger patty that matches perfectly with the nutty flavour of Gruyere cheese. 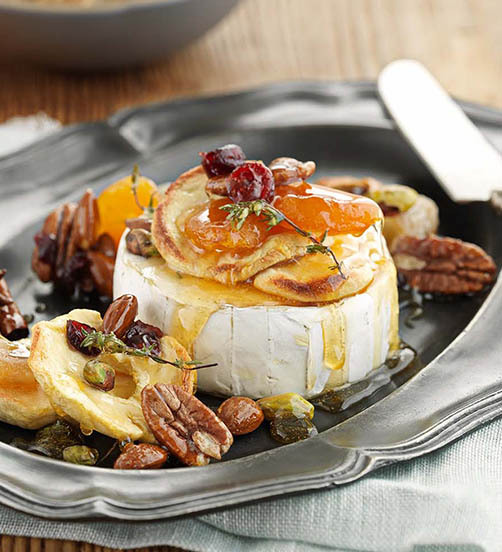 Surprising and playful flavours come together in this delicious camembert recipe. 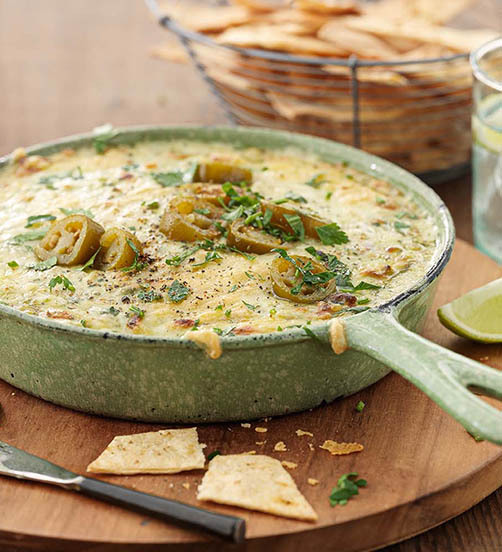 A fun, cheesy Mexican warm dip with a jalapeno kick. 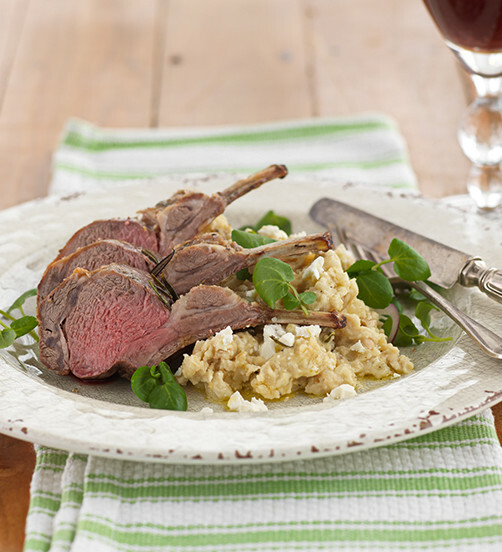 Add a touch of panache to your plate, try this flavour-infused white bean and feta mash. 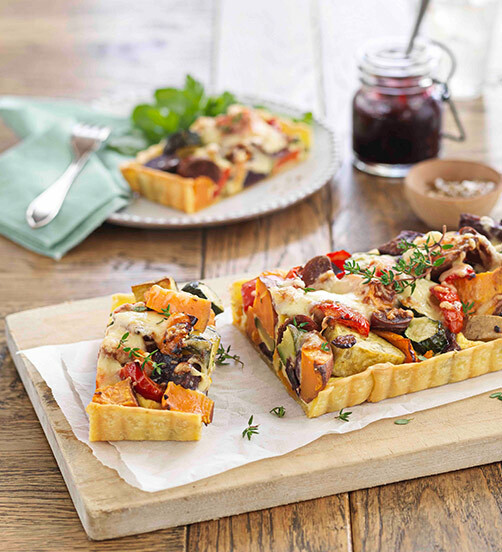 A café-style favourite, great for using up seasonal produce.